Is Chiropractic Care Effective For Headaches? Chiropractic treatments are commonly known for treating problems with the muscles, bones and joints of the body. These types of treatments typically involve different adjustments that are performed to correct physical conditions that are abnormal. A result of these treatments is that the entire body, including the ailing body part, is eased from abnormalities through chiropractic care. Patients are also wondering is chiropractic care effective for headaches as it is with joint, neck and back issues. It has been shown that chiropractic care is effective for those who suffer with chronic headaches while providing few side effects and maximum benefits. There are several types of headaches that can be cured if treated with chiropractic care. These types of headaches are known to negatively impact individuals for long periods of time. There are not currently many medications on the market that can treat these headaches. Migraine sufferers ask is chiropractic care effective for migraines. Despite some negativity, chiropractic treatment has indeed been seen as a safe alternative to treating these types of headaches. Contracted muscles, especially in the neck and back, can contribute to tension headaches. This is one reason why chiropractic care is ideal for treating these headaches. The misalignment of the bones in the spinal column can also be a reason for tension headaches. When these bones are not in alignment, they can cause pressure to develop on the nerves or tissues surrounding the spine. If this issue is not addressed promptly, it can lead to severe headaches that become more persistent over a period of time. These headaches are caused by an abnormality that is located in the spine. Mobility impairment in the upper area of the cervical spine is one of the main reasons why these headaches develop. It only seems logical that chiropractic care is the best treatment for this type of ailment since the problem originates in the cervical spine. 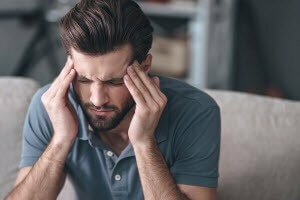 As chiropractic care has become more successful in treating these types of headaches, it has become common practice for other types of headaches to be treated with chiropractic care as well. Is chiropractic care effective for headaches? It is considered to be the best treatment option when compared to medications that can leave a person with dangerous and even fatal side effects. Please contact us today to schedule a consultation or to get more information.